Want to know more about me and my blog? See these FAQs below! If you have any other questions for me, feel free to ask by filling out the contact form below. My name is Aarti, and I’m a university student from Seattle, Washington. I study Psychology and Global Health, and I also work as a writing tutor. When I’m not blogging, my favorite things to do are to go out and explore and take lots of pictures, to grab a cup of hot cocoa with a few good friends, to read biographies and memoirs, to cook, and to watch videos on YouTube. In what ways does your blog address mental health? Here on Handmade Hearts, we define the term “mental health” as the psychological and emotional well-being. Usually, when you see media sources talking about mental health, you’ll see the terms “stress”, “depression”, and “anxiety” being thrown around quite a bit. While these sources can provide helpful tips in addressing each of these mental states, they utilize a top-down approach: they tell you how to solve the problem without discussing how exactly you might have gotten there. Maybe they assume that you already know, or that there are some specific, very general pathways to get there. This is where Handmade Hearts is different: we use a bottom-up approach. Why? Because every person’s mental health experience is different, and it should be addressed that way. Handmade Hearts is not only dedicated to talking about mental conditions such as stress, anxiety, and depression, but it is also dedicated to talking about prevention measures and treatment measures that you can take right where you are in order to improve your mental health. This means that if you are reading this blog and you have a mental health condition, you might learn a new way you help yourself feel better. But it also means that if you feel that you are at risk of developing a mental health condition, you can take measures to prevent it from occurring. Why should we trust Handmade Hearts as a source of information on mental health? This is a very appropriate question that you should keep in mind not only when you consult my blog, but when you consult any source providing health information. My sources of information for this blog are both academic sources that I’m exposed to as a student of Psychology, but also my personal experience. The academic sources that I’m exposed to through my Psychology curriculum usually talk about evidence-based treatment (EBT). Evidence-based treatments that are backed up by scientific evidence. This means that in several trials and studies, these treatments have been successful. In addition to explaining what it means to employ EBT at home, I’ll also explain to you the reasoning behind why this might work for you. In terms of speaking from personal experience, I’d like to highlight here the importance of the bottom-up approach. I’ve learned to improve my own mental health not only because I’ve spent years learning and researching it out of interest and for school, but also because I’ve been enlightened by the members of my community: like my own mental health experience and outcome, this blog was built by the conversations that I’ve had with many good friends and family members. My community members were the reason that I’m able to share my experiences with you. What can I get out of reading through this blog? 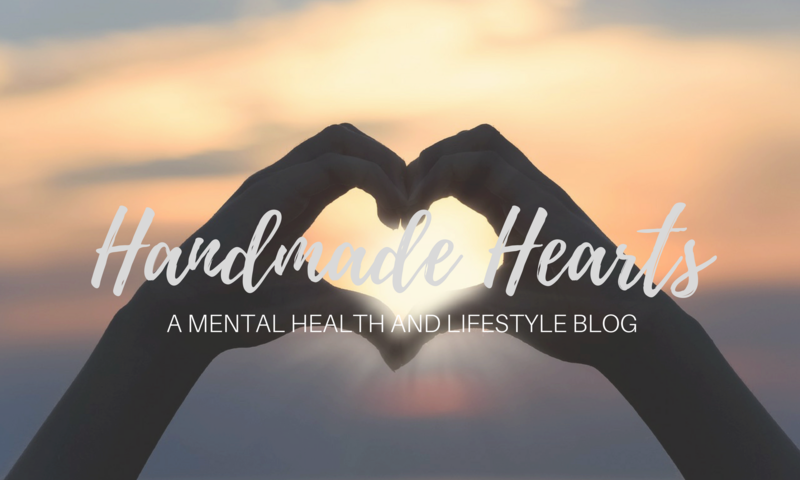 Here on Handmade Hearts, you aren’t just reading a blog: you are joining a community that is passionate about mental health. My biggest goal for Handmade Hearts is to be able to interact with this community: I want to know what you have to say about mental health. Being able to reach out to my crowd is how I keep this blog growing and getting better. Here at Handmade Hearts, not only can you learn about mental health, but you can also help spread the message about how important it is to continue to work at it.